Not that long ago our Sylvan Lake construction company expanded its ever-growing reach to complete a successful project in Rocky Mountain House Alberta. The project was a 16,000 square foot second story addition and major renovation to the Rocky Credit Union along 49th street. It was a complex build which included not only adding a second floor, but required a remodeling of the basement and main floors while the financial institution remained open for business. The project was completed to great success. Beyond the satisfaction felt from completing yet another successful build, was the affection we developed for the town of Rocky Mountain House. While we are Lakers (moniker for proud Sylvan Lake residents) through and through, we are happy to witness and be a part of the growth of all of the townships of Central Alberta. No longer the filling between the sandwiching cities of Edmonton and Calgary, we have become a commercial and industrial economic force. 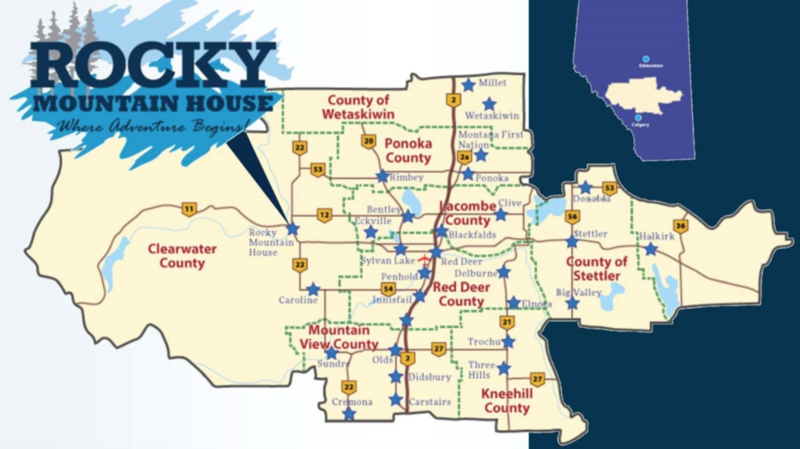 We plan on featuring a few towns on our Central Alberta construction blog in the future, but today we’re focusing on the quaint municipality of Rocky Mountain House. The town’s growing population of 7,220 is a young one – promising return customers/clients for your business for generations to come. 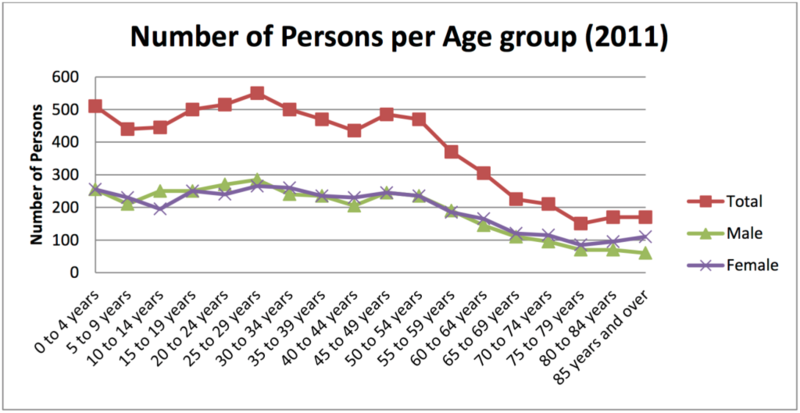 The chart above details that Rocky Mountain House is comprised of a well-balanced male and female profile with a peak age in the 25 to 29 year old range. Young couples are flocking to Rocky Mountain House at a robust pace, and if the spike in the 0 to 4 year old population is any indication (it is) it’s clear that they are coming with babies and tots in tow. This youthful demographic is the key to longevity for your business. Young couples and professionals are finding their way in Rocky Mountain House because of the income opportunities. Average Household income lands in the 84K/yr range while Average Family Income tips the scales past 100K/yr. Aggregate household income is forecast to grow steadily well into 2025 and beyond. Your youthful customer/client base has money to spend, making the town a lucrative prospect indeed. Rocky Mountain Houses has been luring in visitors since its incorporation in 1912. Known for its abundance of adventures and activities (camping, fishing, golfing, hiking, horseback riding, winter sports, etc.) and a Big Foot sighting here and there, the town and surrounding area draws frequent traffic year-round. If you manage a commercial enterprise you won’t have to depend upon local resident revenue streams alone. Commercial and industrial building permit issuance has remained steady in Rocky Mountain House over the past decade as the town has made lucrative plots of land available for businesses entering the market, while keeping the quaint persona of the town intact. Supportive to your needs, the town has made the building permit application process seamless (if your affairs are in order). This building permit application and license application will help you get started. Depending on your current needs your construction project may require a demolition permit, a development permit, a land-use bylaw amendment application, and/or a request for road closure. Between the convenient Central Alberta location, demographic positives, and all-around draw of Rocky Mountain House building your business in town can be a relative breeze IF you have the right builder/contractor at your side. As a commercial and industrial construction company in Sylvan Lake and Red Deer we have been an integral part of the burgeoning growth of the region. We apply what we learn from each local project and apply custom enhancements to the next to meet the unique needs of a business and the town they have chosen to set up literal and figurative shop in. With direct experience in Rocky Mountain House Apple Building Systems already has the connections and intimate knowledge that you need to complete your construction project on time, and within budget. Contact us to learn more.